TGIF everyone! I was very excited to draw this page since day one as I wanted the debut of Dallas McKnight to be front and center. Being in an astronaut suit makes him wider than the other members of Team Stryker so I have to be sure I can find all of the important things in each panel. I also wanted to play homage to all the classic movies and shows out there where someone sends the “you’re my only hope” transmission. 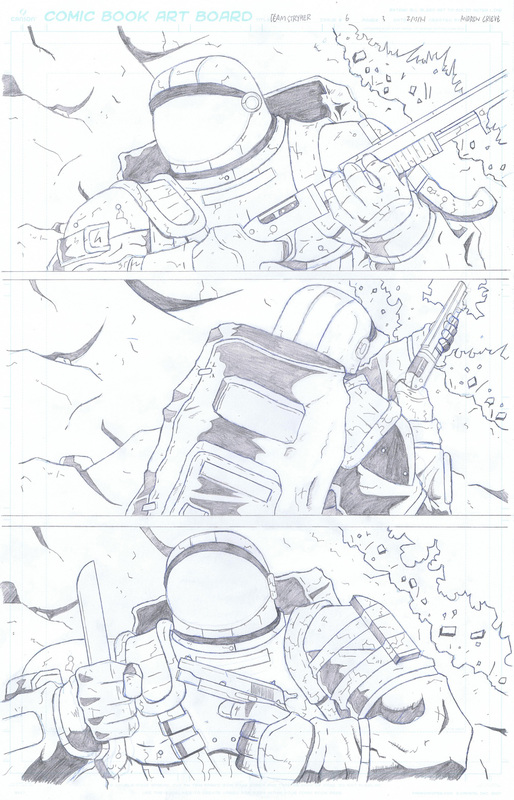 Have a great weekend and I’ll see you right back here for page 04 of Team Stryker Mission 006!